The scorching hot Royals, winners of one of two, take their show to Chicago to take on the White Sox on the road for the first time this season. 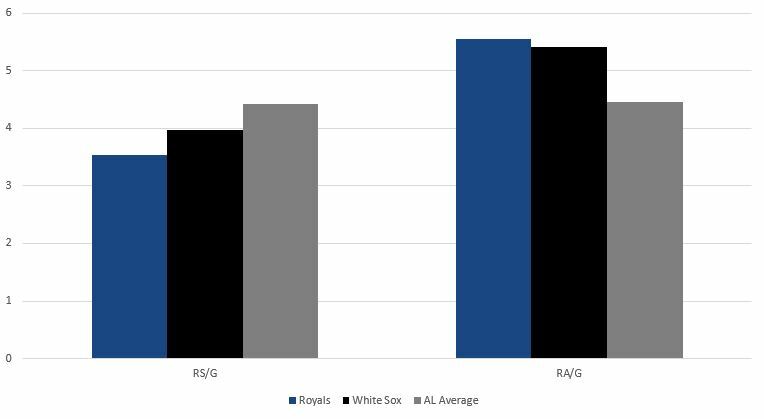 As you know the White Sox had their way with the Royals early in the year before the Royals were able to salvage the final two games of a five-game set in April. 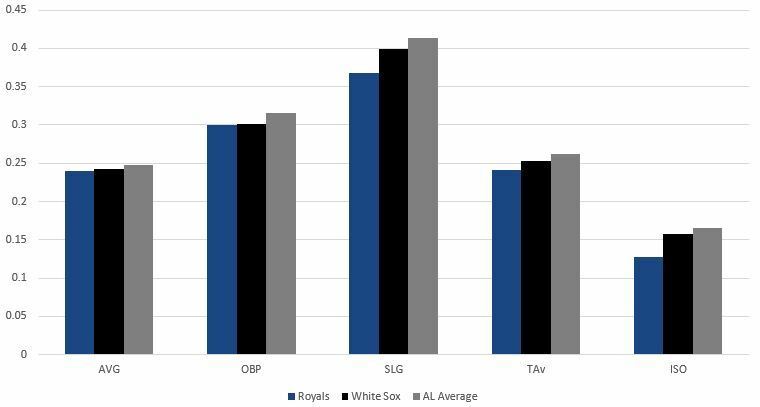 If not for the Royals and Orioles, we’d likely be talking about how bad the White Sox are at 30 games under .500. And they’re disappointing too. I believed they would surprise this year, and they have, well not. Offensively, there really isn’t anyone having an especially good year unless you count Matt Davidson’s numbers against the Royals. 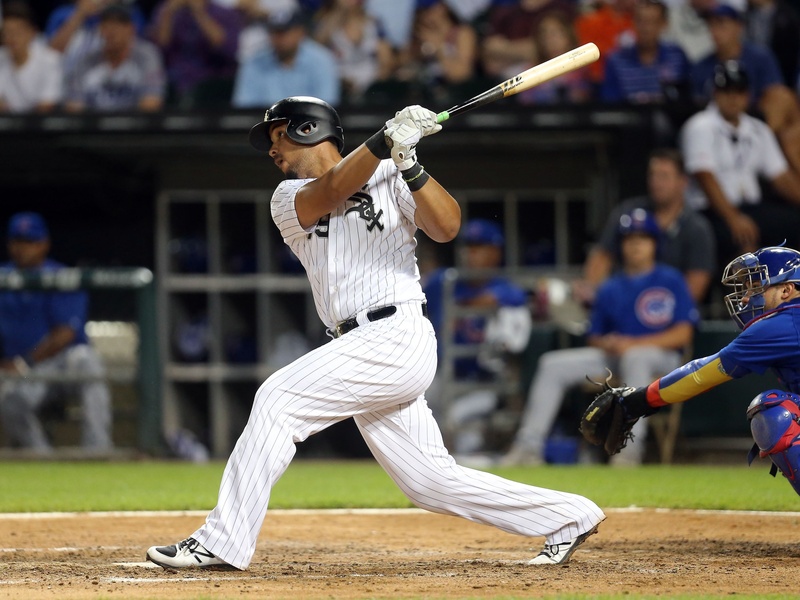 Even Jose Abreu is having an average offensive season at best. Their starting pitching is sort of a disaster, but they do have Carlos Rodon back now, which is a plus. And their bullpen is being held down by Joakim Soria, but that’s really about it with some injuries they’re dealing with. This is a really bad team and they’ll still be the best team on the field this weekend. Good on James Shields to figure some things out and be a serviceable pitcher again. I’m not sure what happened to him when he went to San Diego, but the home run ball started plaguing him and hasn’t stopped until this season. He’s still walking too many batters, more than double the rate of his last year in Kansas City, but he’s limiting hits and doing everything you want from a back of the rotation starter, which is really what he is now and that has some value. Shields throws his fastball at 90 or so, his cutter at 86-87 and a curve, his patented changeup and the occasional sinker. He really has to mix it up to get results these days, but he’s finding a decent mix. 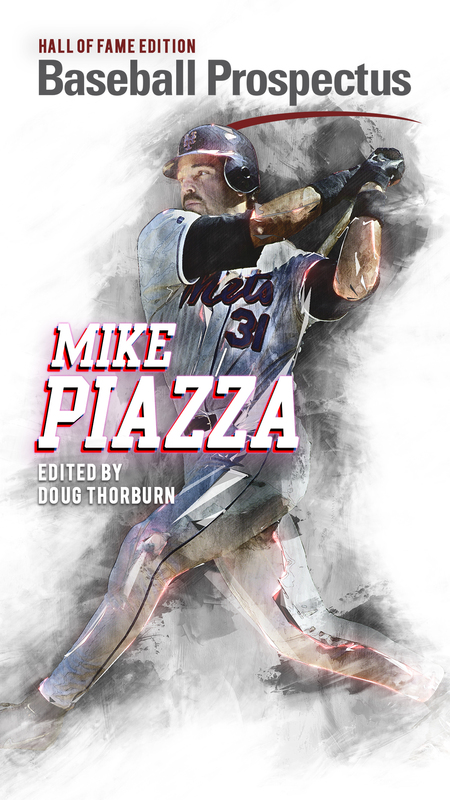 His changeup is still top notch, holding opponents to a .219 average with it and .281 slugging percentage. His curve has been a big strikeout pitch for him, but it’s the one he can leave up and get it knocked around, so Royals should be on the lookout for some hangers. He’s been a completely different pitcher with the bases empty and with runners on and in scoring position. With them empty, opponents have a .574 OPS. When runners get on, that jumps to .909 and when runners are in scoring position, it’s .969, so, uh, get on base against him to succeed. That seems pretty basic, but it’s sound advice. A few Royals have done damage against Shields, but Mike Moustakas and Lucas Duda are the ringleaders with Alcides Escobar right behind. Keller had his first truly rough start his last time out against the Red Sox, giving up four runs on six hits in 4.2 innings. He danced around trouble early and then just couldn’t keep it up into the fifth, largely due to walking five hitters. He elicited just three swinging strikes in his 89 pitches, which seems to be not so ideal. In some ways, you don’t want to excuse young pitchers when facing good teams because they’ll have to beat good teams eventually, but in others, it was a rough start after two outstanding ones. This is a White Sox lineup he should be able to handle. Their only discernable skill offensively is that they hit some home runs and Keller has been elite at suppressing them. They strike out a ton and never walk, so I’ll be a lot more alarmed if he gets hit hard in this one than I was against the Red Sox. 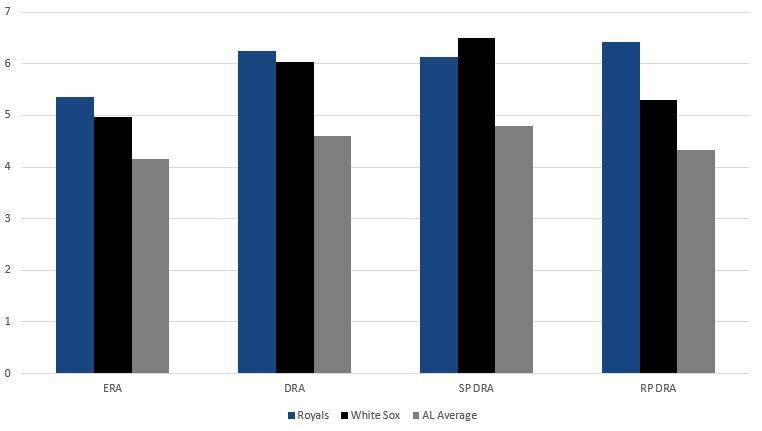 In some ways, Lopez has been the White Sox best starter with a really tidy ERA and fewer hits than innings pitched and less than a home run per nine innings. 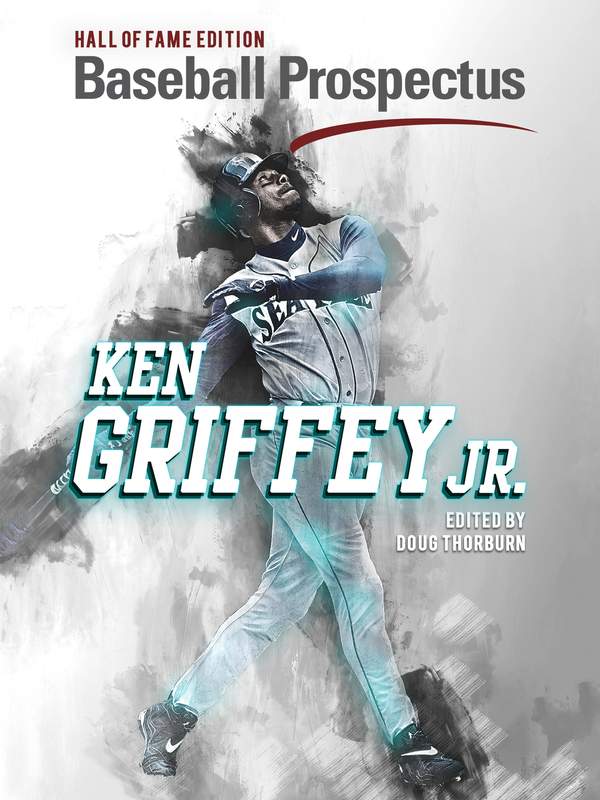 But he’s also struck out just 16.6 percent of hitters he’s faced and walked 10.4 percent. That’s not a very good ratio. He continues to be that guy you think should be at least striking out more hitters but he doesn’t. His fastball is big and it moves pretty well. His changeup looks like it might be a weapon someday. His slider is the only pitch he consistently dominates with as he’s struck out 32 batters with it and only allowed four extra base hits. If you’re looking for a reason why he may not be a reliever, don’t look at how he does the first time through the order vs. the second time. The first time, he allows a .221/.284/.407 line. The second time through that rockets to .316/.413/.471. It’s a little weird that when he’s the most dominant a third time through, but I’m guessing that’s because when he gets there and faces enough of the lineup, it’s because he’s on. He hasn’t faced anybody in baseball too often, but Moustakas has three homers against him in 13 at bats and he’s hot right now. Whit Merrifield is also 4 for 12 with a walk and an HBP against him. Duffy is coming off a very impressive performance against the Twins. For the third straight game, he walked just two batters over six innings and he piled up double-digit swings and misses for the third time in his last four and the fourth time in his last six starts. He’s now 3-2 with a 3.07 ERA in his last nine starts, spanning 55.2 innings with 50 strikeouts and an 11 percent swing and miss rate. He’s pretty much been the guy he was throughout his career before the start of the season. He’s faced the White Sox twice and wasn’t especially good either time, but that was early in the season when he struggled. He’s actually been really good in Chicago in his career, going 4-3 with a 3.12 ERA in 12 games (10 starts) over 52 innings with 44 strikeouts and just 13 walks. This particular lineup has been a bit of a problem for him this year, but I’m curious to see how he fares now that he’s pitching better. Giolito might honestly be the biggest disappointment in baseball given what he was supposed to be when he was drafted and what was expected of him coming into this season after a fantastic spring. He’s settled down a bit from earlier in the year, but he’s struck out 57 and walked 57 in 97 innings. That’s WAY too few strikeouts for a guy with his stuff and WAY too many walks for, well, anyone. Plus, he’s hit 11 batters, so he’s put 68 runners on base for free this year. Add in 94 hits allowed and he’s just working with runners on base constantly. I mentioned his stuff, and maybe it really just isn’t that good. His fastball is only averaging 92-93 and he mixes that with a sinker, changeup, slider and curve. Only the slider has been truly effective this year, limiting opponents to a .153 average and .306 SLG. He’s been an absolute disaster at home with an 8.65 ERA and 29 walks in 42.2 innings pitched. It’s not that he’s been considerably better on the road, but he’s just been so bad in Chicago. Even with all that, he’s still very good ahead in the count, allowing a .495 OPS, so get him when ahead (1.189 OPS) and even the Royals could put up some runs against him. Bullpen day for a bad bullpen. Fun. If we’re being honest, the Royals have a real shot to maybe even win this series. Neither team is good and bad teams playing a series can do some really weird things. For now, though, I’m predicting both teams get swept.